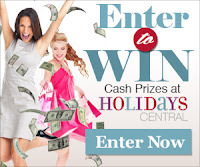 Wouldn't you love to win a $500 Target gift card? Visit Rewards for Mom and enter your email address or Facebook account. You'll then be signed up for the Rewards for Mom mailer filled with free coupons, gift cards, free samples & more. And, you'll have a chance to win that $500 gift card!